Pet owners know the next big stain could be right around the corner. 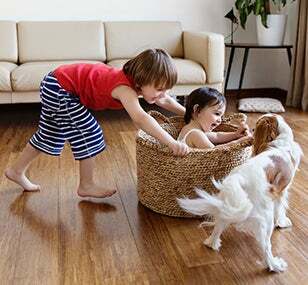 Clorox® Pet Solutions Cleaning Wipes let you tackle any mess your four-legged friends can throw down, and they work on everything from pet carriers to hardwood floors. Excess dirt first, for highly soiled surfaces. Want to find other ways to use Clorox® Pet Solutions Cleaning Wipes? Where can I buy Clorox® Pet Solutions Cleaning Wipes? You can find select Petco stores near you that sell Clorox® Pet Solutions Cleaning Wipes on our Buy Now page . It's a good idea to call the store before going, to make sure they have it in stock. If you have any trouble finding it at a nearby store, you can also buy it online. Where can I get coupons for Clorox® Pet Solutions Cleaning Wipes? Check the Coupons page to see if there are coupons available for Clorox® Pet Solutions Cleaning Wipes. And sign up for the Clorox newsletter to find out about new coupons via e-mail. Where can Clorox® Pet Solutions Cleaning Wipes be used? Clorox® Pet Solutions Cleaning Wipes works great on pet bowls, litter boxes, sealed hardwood floors, tile and grout, pet carriers, and more! Do Clorox® Pet Solutions Cleaning Wipes contain bleach? No. Clorox® Pet Solutions Cleaning Wipes are made with a bleach-free ingredient formula. Can I safely use Clorox® Pet Solutions Cleaning Wipes around pets, children, and food preparation surfaces? Yes! Clorox® Pet Solutions Cleaning Wipes are safe to use around pets, kids and food. Clorox®Pet Solutions Cleaning Wipes are formulated with a plant based cleaning agent and without artificial fragrances and dyes so you don't have to worry about harsh chemical smells or residue. Safely clean surfaces in one swipe. When out of use, as with many household cleaners, you should keep them out of the reach of children and pets.